Female Workforces Can Revolutionize Latin American Business. Here’s How. 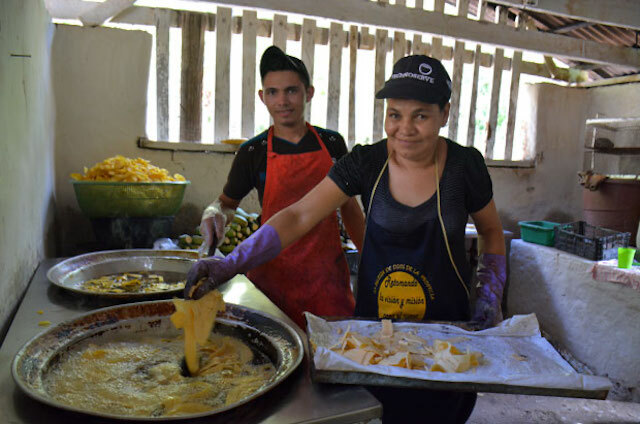 In an article for the World Economic Forum, TechnoServe's Program Director for Central America Entrepreneurship discusses ways to engage entrepreneurs in practices that not only benefit women workeres and suppliers, but help solve some of the most common issues facing small and medium businesses. Editor’s note: A version of this story was originally published by the World Economic Forum. Daniel Velasquez owns a small snack-manufacturing firm in Honduras, producing plantain chips that are sold in bodegas across the country. A few years ago, Daniel was struggling to consistently find enough plantains that met the company’s quality standards. Supply issues are a typical headache for business owners, but the solution to Daniel’s problem came from an atypical place: a gender-equality policy. These days, it is common for multinational corporations and large organizations to institute policies that promote gender equality for employees and suppliers. While we probably don’t think about such policies in the context of small businesses, and especially those in developing countries, they can be a very important tool: in a region like Central America, where two-thirds of jobs are at small firms, ensuring greater gender equality means helping entrepreneurs like Daniel change the way they do business. The lack of equality in economic opportunities is a serious issue in Central America that not only affects millions of women, but also limits the growth potential for whole countries. In the World Economic Forum’s 2017 Gender Gap Report, which evaluated 144 countries, Daniel’s home country of Honduras ranked 123rd on gender parity in labour-force participation and 99th on parity for estimated earnings. Neighbouring Guatemala scored even lower, and while Nicaragua scored well in most metrics of gender equality, it ranked 115th in parity for labour-force participation and 111th in wage equality. One reason for this problem is that, in many of the small businesses that contribute the bulk of the region’s employment, women have fewer opportunities to be hired, earn less for doing the same job and are less likely to advance within the firm. Women face other obstacles, as well. With high levels of informality and limited government capacity to enforce labour regulations, legal protections around maternity leave are often flouted. And while several countries in the region, including Honduras and Nicaragua, have laws that prohibit sexual harassment in the workplace, it remains a problem for many female employees, with 90% of women in Honduras reporting suffering from harassment. Women also face disadvantages as suppliers, as men have stronger access to credit, training and – importantly – networks, which makes it easier for them to become suppliers to small and medium-sized enterprises (SMEs). We’ve seen that, to bring change to SMEs, public policies are not enough. Entrepreneurs and managers must also embrace the cause of gender equality. And the best way to do that is to show them how good gender policies are good business. 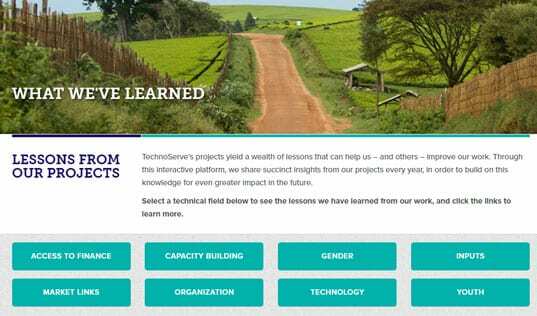 Since 2012, TechnoServe has implemented Impulsa tu Empresa (“Drive Your Company”), which has improved the business operations of nearly 1,000 small businesses across Guatemala, Honduras, Nicaragua and El Salvador. The programme has made it a priority to not only build the capacity of female entrepreneurs – more than half of the business owners have been women – but has also worked to implement gender “best practices” at both male- and female-owned SMEs. The training curriculum includes nine of these practices, which not only benefit female workers and suppliers, but also help solve some of the most common issues facing SMEs: recruiting and retaining qualified workers, building a roster of suppliers, expanding markets and developing new products. With support from ITE, Daniel Velasquez hired more workers for the company as his business grew, and sought to create a gender-balanced team. These nine best practices for gender equality are implemented under the commitment by each business that, "We are a business committed to gender equity:"
We ensure men and women have equal opportunity for advancement in the business. We consider the basic needs of male and female team members. We are a family in this business, and we say "no" to sexual harassment. We design our products and services with the needs of both women and men in mind. We promote equal compensation for women and men, based on job descriptions. We value the availabilities ofmixed-gender teams' together, we create a stronger business. Mixed teams make businesses more competitive; we value a diversity of thought in order to improve and innovate. We encourage the professional development of our team by offering training to our female and male employees. We are constantly improving our work environment to ensure the safety and well-being of our employees and customers. 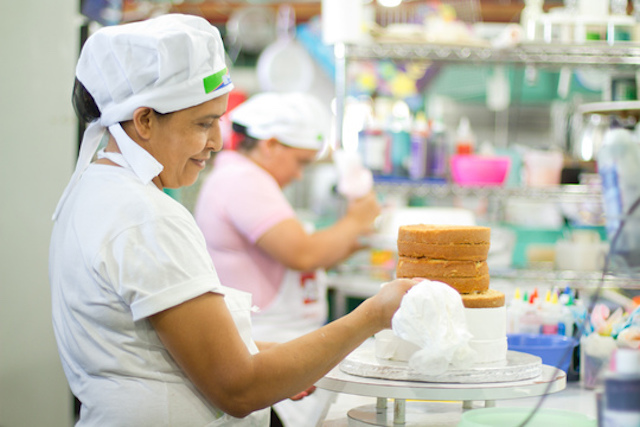 In Nicaragua, a small commercial bakery reduced turnover by offering improved maternity and paternity benefits, and delivering gender training to the company's managers. Photo courtesy of the Argidius Foundation. Impulsa tu Empresa programme staff help businesses to track their progress on these metrics by creating a gender scorecard for each SME. With support from ITE, the snack manufacturer Daniel Velasquez developed a plan to improve his supply chain. He moved his production facility closer to producers, and looked to integrate new suppliers. Taking to heart the lesson on gender equality, he ensured he was sourcing plantains from women farmers. 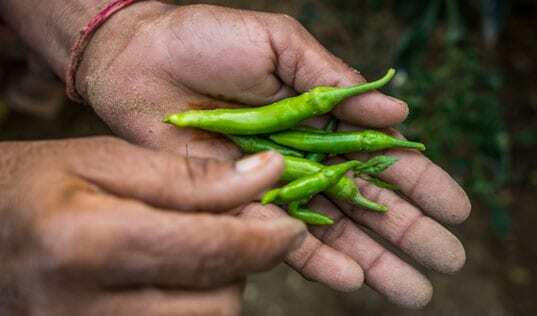 The move paid off: the changes he made in how he sourced crops and managed his business helped him to increase his sales by 71%. 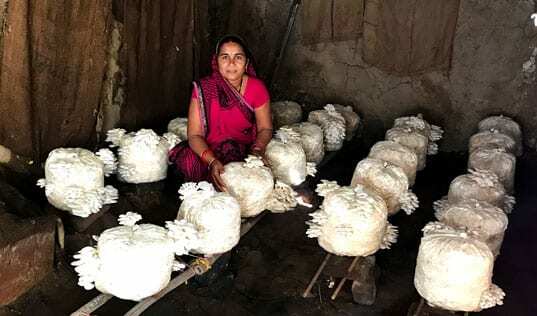 “The main benefit of buying raw materials from women is that they deliver a higher-quality product, and they always deliver the right order, and on time,” he said. As the company grew, Daniel also hired more workers for the company, and sought to create a gender-balanced team. “There’s balance. Women are more creative in some areas; they’re detail-oriented, they’re better at product quality control,” he said. When small businesses adopt good gender practices, it brings benefits to workers, suppliers, businesses and communities. Photo courtesy of the Argidius Foundation. Similar policies worked in Nicaragua. A small commercial bakery producing traditional doughnuts called rosquillas was seeking ways to inspire greater loyalty among its largely female workforce and to reduce staff turnover. After participating in Impulsa tu Empresa, the company’s owner, Flora Ortíz, decided to adopt a gender-equality policy. She offered her workers more generous maternity and paternity benefits than those required by law, delivered gender training to the company’s managers and provided advancement opportunities for women, as well as men. The turnover rate declined, the business grew and Flora received international awards for her business leadership. “It’s like a dream,” she said. There remains an enormous amount of work to be done to address the gender gap in Central America and barriers to women’s opportunities in the region’s small businesses. However, the success of Daniel and Flora show that when small businesses adopt good gender practices, it brings benefits to workers, suppliers, businesses and communities.